You can get a great deal at Orange Leaf Frozen Yogurt, where you can fill your entire cup for just $4.15, but this offer is only on April 15. If you would like to fill your cup at Orange Leaf Frozen Yogurt, simply login to Facebook, then click here to “Like” their page. You will then be able to click “Get Offer” where you can choose to print the offer or keep the coupon on your smart phone. 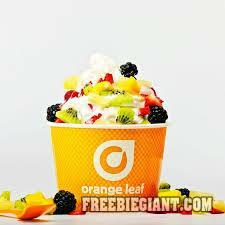 You must show this coupon at Orange Leaf on April 15 to get this offer.